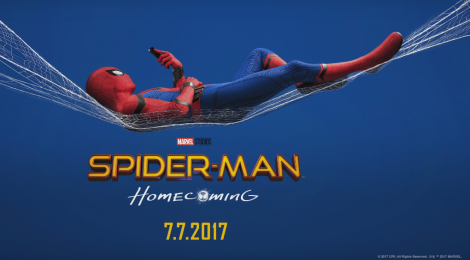 Movie Review - Spider-Man: Homecoming - Honk if you love justice! I really loved Spider-Man: Homecoming, though I can see why there were a few people who didn’t. It’s not what you expect from the Marvel Cinematic Universe, not exactly. Sure, it’s a superhero story, there’s Iron Man flying around, supervillains with crazy weapons, the usual. But it is counter-balanced by teen drama (and comedy) which is a bit of a shift compared to the rest of the MCU. I thought it was a solid balance, and very entertaining, even if it won’t supplant my top MCU movies (which are, in no particular order, Iron Man, Guardians of the Galaxy, The Winter Soldier, and Civil War). The other thing which bothers a certain subset of fans is changes from the source. Whether it’s Ned basically being Ganke, or hot Aunt May, or “MJ”, they’ll find something to complain about. I’ve said it before, an adaptation HAS TO change things to be interesting. Sure, there’s a balancing act where if you go too far, you don’t recognize how one connects to the other but we’re nowhere near that line here. Peter still got bit by a radioactive spider, he lost Uncle Ben, he’s got the ol’ Parker luck. The words may not have been said directly in this or Civil War but Peter is absolutely living by “With Great Power comes Great Responsibility”. Tony Stark was quite different from RDJr, but it worked out for everyone. Peter Quill didn’t stand out at all until they ported in James Gunn’s version to the comics. Okay, to the rest of the movie. I loved Michael Keaton as Toomes/The Vulture. I found myself both feeling sorry for him (seriously, Tony Stark fucks up EVERYTHING), and recoiling from a legitimately scary villain. The scene when Peter goes to pick Liz up for the prom, and the car ride was tense. I can hear Zendaya’s MJ calling Parker ‘Tiger’, easily. I love Marisa Tomei, and you can’t help but laugh at the mom jeans and ugly glasses they try to use to make her seem old and unattractive. Laura Harrier, Jacob Batalon, and the other “kids” did a solid job as well. Spider-Man: Homecoming is great if you like your MCU mixed up with a coming-of-age tale. There’s superheroics, teen angst, marriage proposals, and goofy public service announcements. And Peter, maybe learn to lock your door.